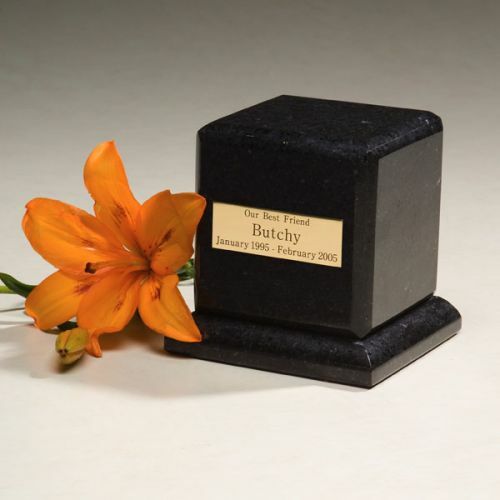 Black Granite with square base. Black Granite with square base. Bottom-opening threaded stopper. 75 cu. in., 41/4"W x 41/4"D x 5"H, 5 lbs. Due to the nature of stone, pattern and color will vary.